Every year, we interior designers wait with bated breath, to hear which colours have been handed the prestigious title “Colour of the Year”. Different companies and organisations have their own awards, and for 2018, we’ve already seen Dulux name “Heart Wood” (described as a beautiful warm pink) as their colour of the year, whilst Graham & Brown also opted for a pink shade, this time with peach undertones in a shade they’ve called “Penelope”. Whilst the paint companies provide a good indication of future trends, the big announcement we all look out for is by Pantone. When it comes to colour, Pantone are the undisputed experts, producing the references by which all colours are judged. Whether you’re in interior design, print or any other type of business that requires specific colours, Pantone is the go-to guide. Pantone recently announced that their colour of the year 2018 is “Ultra Violet”. Ultra Violet, or to give it its more mundane moniker “Pantone 18-3838”, is “a blue-based purple that takes our awareness and potential to another level”, according to Letrice Eiseman, the executive director of the Pantone Colour Institute. Ultra Violet is a big change in direction for Pantone, having named the more natural “Greenery” colour of the year in 2017; something we explored in depth in a previous blog post. However, Pantone have a habit of making big sweeping statements with their choice of colours. Back in 2016, not content with just one colour, the title "colour of the year" was awarded to not 1, but 2 colours, namely “Rose Quartz” and “Serenity”. In each case, interior designers rushed to see which products they could find which matched that colour, and in many cases, rushed to create items and accessories that closely matched this trend. What does Ultra Violet represent? Far from being an arbitrary choice, a lot of thought has gone into choosing Ultra Violet as the colour of the year. One emerging trend from across the pond is the focus on spirituality and the mystery of nature. Colours which produce genuine emotion and have restorative qualities will be chosen for interior palettes, plus with a yearning for city dwellers to return to nature, weird and wonderful organic tones will predominate. To escape from the everyday, futuristic shades, like those you might see in sci-fi movies, will form the backdrop to many office spaces, hotels, shops and homes. Set within this context, you begin to understand why the mystical and spiritual qualities of this colour have made it such a popular choice. Of course, colour trends tend to pervade not just fashion, but home interiors, entering deep into every room in the home. Whilst Ultra Violet may not immediately spring to mind when you think about decorating your bathroom, there’s no reason why this coming year’s big colour can’t turn your décor into something that’s bang on-trend. 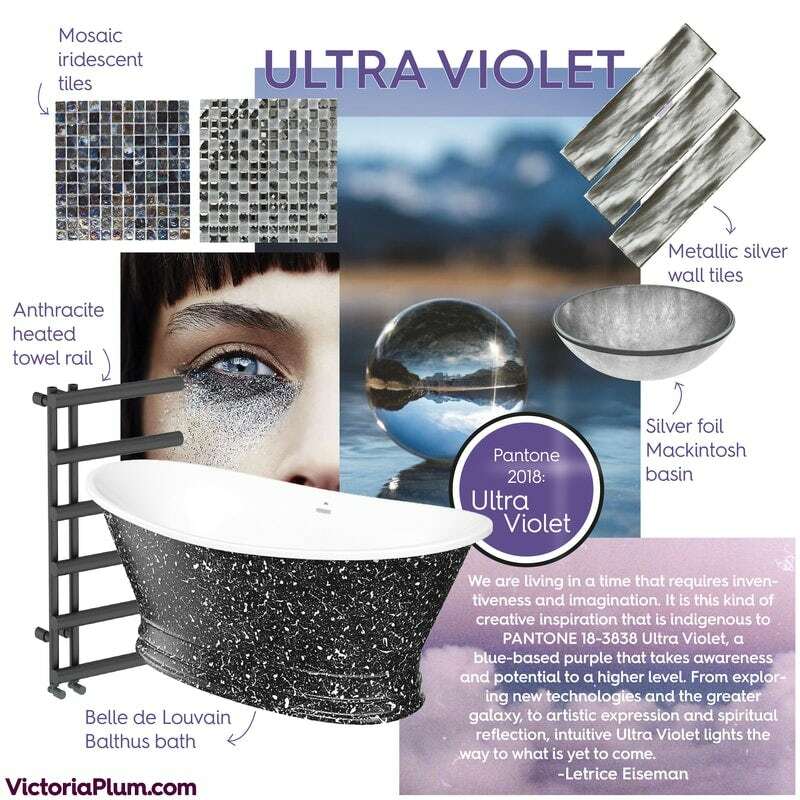 The first thing to think about is exactly how you’re going to introduce the Ultra Violet colour into your bathroom. As we suggested in our recent 13 great tips for accessorising your bathroom, one way of quickly and easily injecting colour into your bathroom is by choosing towels in the colour of your choice. Of course, you may wish to go a step further than simply adding some coloured accessories, in which case you could repaint your walls in a colour that resembles Ultra Violet. Sloe Gin bathroom paint from our exclusive 1829 Craig & Rose range is a deep shade of purple and is the closest paint colour we stock. Plus, with an anti-mould formula, it’s perfect for the hot and humid environment that a bathroom produces. Of course, with the bathroom containing a number of splash zones, you'll need to protect your walls in certain areas, like around your bath or inside your shower enclosure. Whilst plain tiles will allow you to "play it safe", you can certainly add to the overall theme with tiles that add an unusual and ethereal look and feel to your room. 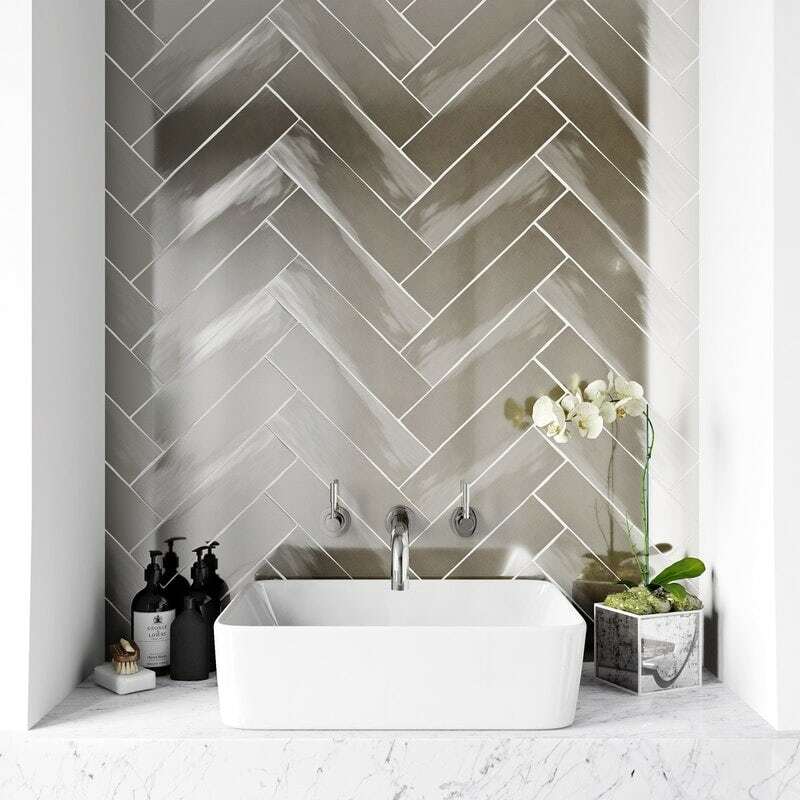 Metallic silver [wall tiles] are great for adding a shiny surface that reflects light, whilst iridescent tiles can be used to create borders, splashbacks or even a feature wall that glistens and produces an other-worldly feel. 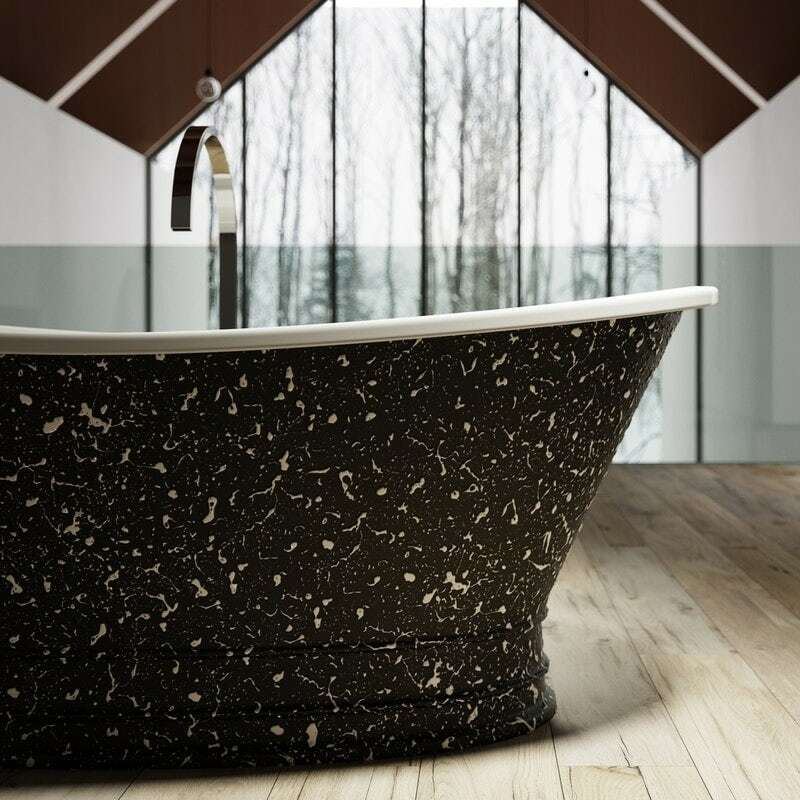 "Art washes away the dust of everyday life from the soul" said Pablo Picasso, and with the exquisite Balthus freestanding bath from Belle de Louvain, we couldn't agree more. 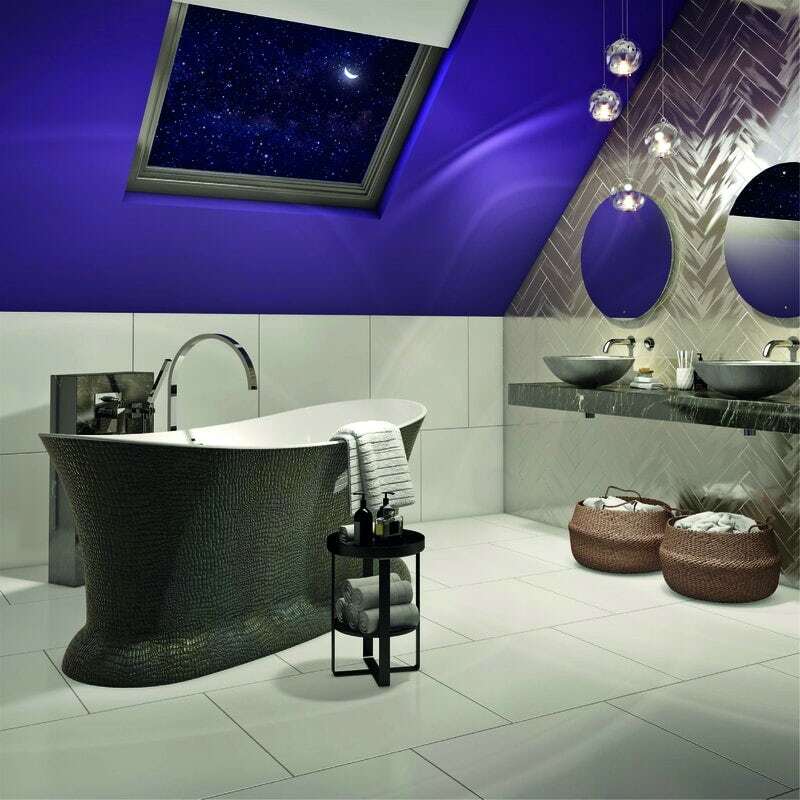 The iconic bateau shape is simply stunning, but what makes this work particularly well with Ultra Violet is the exceptional, hand-finished black and white surround, giving a textured and slightly alien feel to your decor. 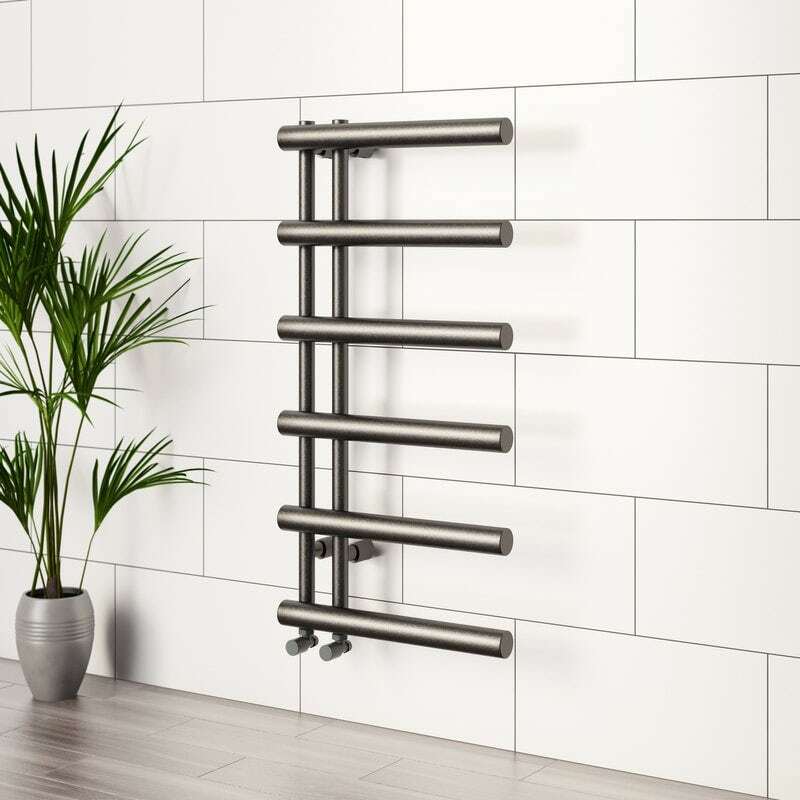 One of the mottos I live by is "great design brings great joy", which is why I've picked out this incredible heated towel rail, guaranteed to lift the soul. The anthracite finish will complement an Ultra Violet decor perfectly, plus, you can even combine it with a heating element, so it'll provide you with toasty towels all year round, even when your central heating is switched off. 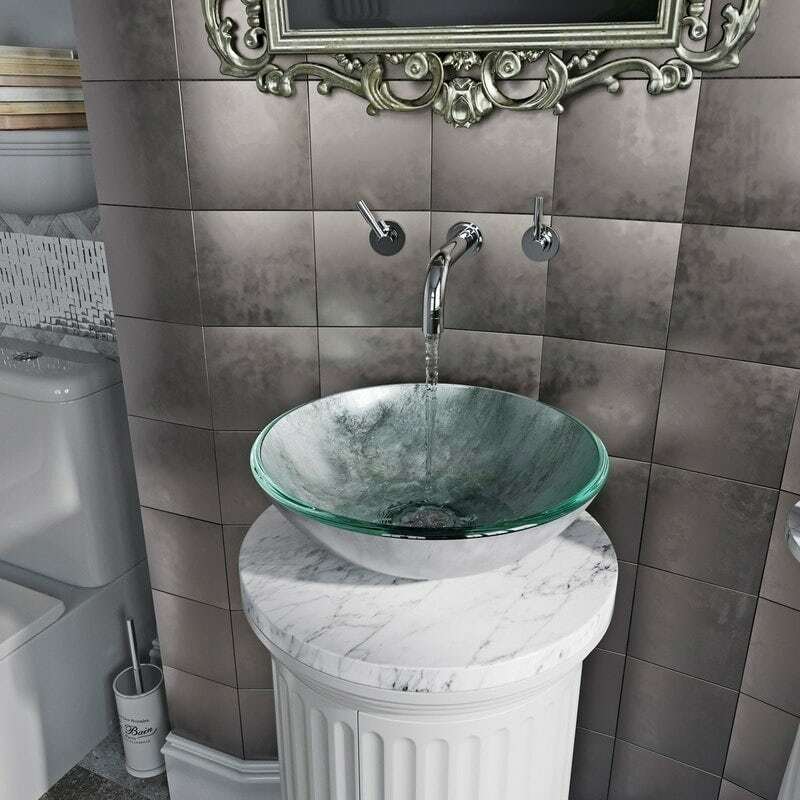 Made from 12mm tempered glass, decorated with silver foil paper, this countertop basin will provide you with a genuine statement piece for your designer bathroom. The silver colouring gives this basin a genuinely beautiful appearance, with a shimmer that will blend in with your Ultra Violet colour scheme. If you love keeping up to date with the latest interior design trends, follow my regular style guides, right here at VictoriaPlum.com. Greenery has been named Pantone's colour of the year 2017. But what does this mean for your home?